Showcase your coastal style with the Catalina Sun Is Glowing Pillow. 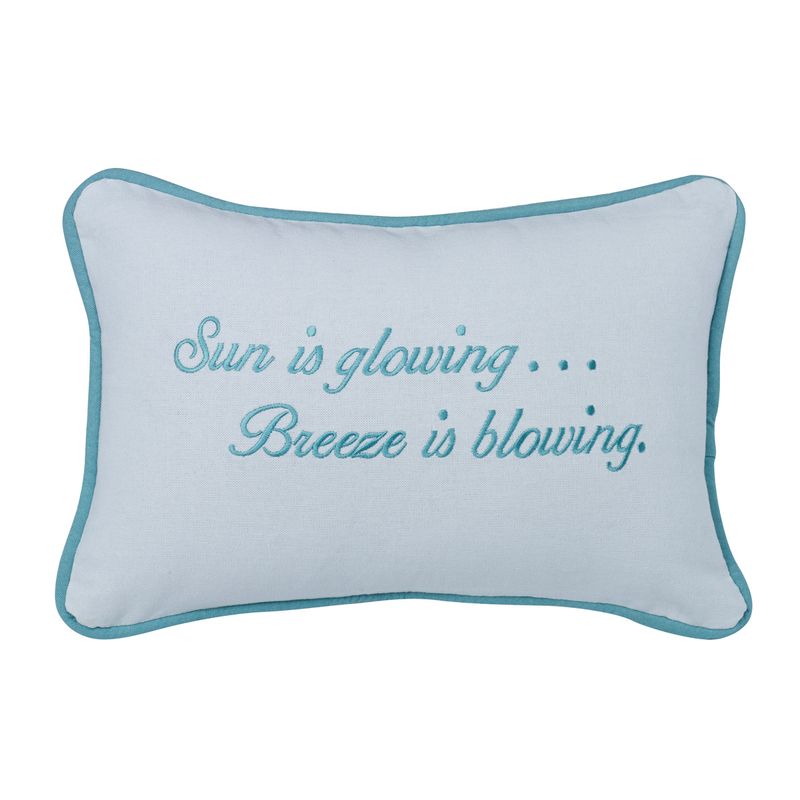 This coastal decorative pillow is designed with "Sun is glowing? Breeze is blowing" embroidered on white linen. Ships from the manufacturer. Allow 1 to 2 weeks. For further options, we encourage you to take the occasion to look at our thorough collection of coastal decorative pillows at Bella Coastal Decor now.